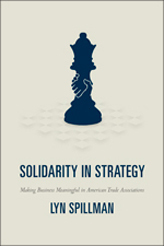 Lyn Spillman, a professor in Notre Dame’s Department of Sociology, has been awarded two book prizes from the American Sociological Association for her work Solidarity in Strategy: Making Business Meaningful in American Trade Associations (University of Chicago Press). The Mary Douglas Prize honors the best book in the field of cultural sociology, and the Viviana Zelizer Award recognizes the best book in economic sociology. Winning “best book” awards in both economic sociology and cultural sociology is no easy feat, says Professor Rory McVeigh, department chair. “It is not unlike producing a spirit of bipartisanship in Congress. It takes extraordinary scholarship to bridge these two fields of study so effectively. Solidarity in Strategy is one of the first in-depth explorations of the role of trade associations in economic culture. 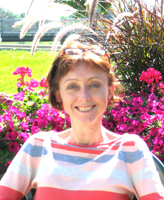 Supported by a Guggenheim Fellowship, Spillman compiled her own database of more than 4,400 associations. She then chose 25 groups to study further, collecting information about their activities and analyzing their business culture from multiple points of view. According to Spillman, the function of trade associations is much more collegial than cutthroat. The primary focus of these disparate groups—including the Academy of Motion Picture Arts and Sciences and the International Concrete Repair Institute—is to promote camaraderie, professionalism, and sociability. Her findings challenge the idea that capitalism is motivated solely by the pursuit of profit and self-interest. The financial crisis in 2008 brought a new wave of interest to the growing field, she says. Spillman is continuing her work in economic sociology with two new research initiatives. One project, which builds on a theme from her book, explores how culture influences the degree to which people are driven by profit and self-interest. The other project examines how the media presents economic issues. “I’m working together with a group exploring the norms and values that emerge when topics like foreign investment, financial innovations, corporate social responsibility, and inequality are discussed in the media,” she says. In August, Spillman will attend the American Sociological Association’s annual meeting, where she will be presented with both prizes for Solidarity in Strategy. “I’m thrilled and honored to win these awards,” she says. “I am a cultural sociologist first and foremost and wanted to make a contribution to both cultural and economic sociology. Originally published by Carrie Gates Pluta at al.nd.edu on May 17, 2013.